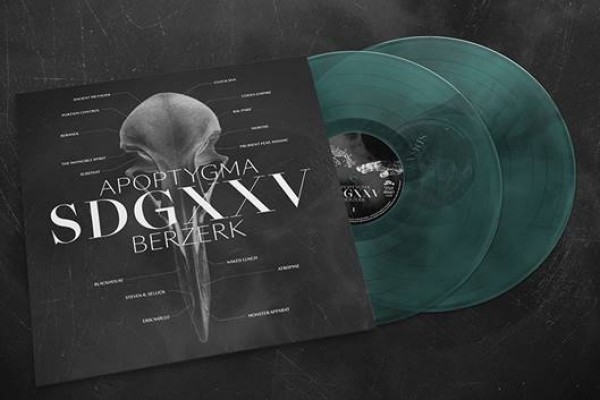 This amazing edition comes in a combination of Green, Black and Transparent Vinyl. Hot on the heels of the Soli Deo Gloria" 25th Anniversary Reissue Edition, comes a completely reworked album with all SDG songs in brand new versions by special guest artists/mixers on every track! As a part of the 25th Anniversary of their debut, APOP decided to celebrate in style! Requests to join the party were sent out to old heroes, bands that inspired APOP in their development, friends, colleagues, and new cutting edge acts whom they admire. 18 artists in total were asked to produce fresh, surprising and different versions, and to add their personal treatment to these already classic tracks. The end result is nothing but stunning! All of it delicately sewn together in a beautiful package of classic EBM/Electro/Techno/Industrial paying homage to this classic album, and at the same time paying respect to the classic acts that inspired it!  For SURE, this album will become a classic electronic album just like its predecessor!